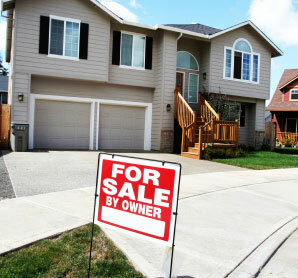 Thinking About Selling Your PA or NJ Home? Because buyers view your home with a wet basement as a "fixer-upper", they will pay you on average 10% less than otherwise - that's if they buy it at all. Think about it: If you own a $300,000 home, the cost of NOT fixing your wet basement in property value alone is $30,000! Of course, this doesn't account for the property damage and aggravation that the leak has caused while you live in your home. In most states, sellers now have to provide potential buyers with a disclosure form which states all of the knowledgeable defects of their property. One of the questions on the form is whether or not you have had any water in the basement. In addition, most home inspectors have a keen eye for water problems, so there is simply no hiding a wet basement, it's typically an easy defect for inspectors to find. And, if you do not disclose your leaky basement, either nobody will buy or they will make you a low offer. In fact, buyers will discount the price of a home by 10% or more because of a wet basement. BQ Basement Systems provides state-of-the-art basement waterproofing systems and basement waterproofing products in Pottstown, Trenton, Levittown, Newtown, Frenchtown, Red Hill, Doylestown, Bala Cynwyd, Quakertown, New Hope, Flemington and nearby. Contact us today! Let us help you make the sale!